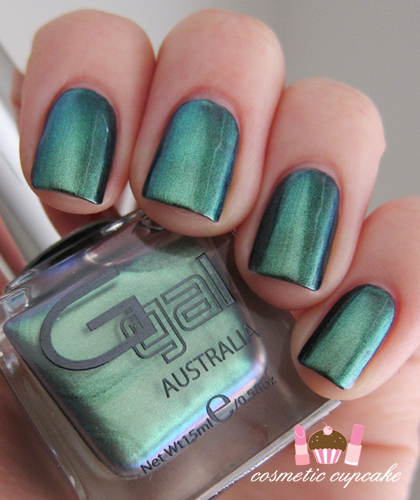 Warped Teal has a gorgeous emerald teal base with a more blue based teal duochrome. This was a tricky one to capture accurately! 1 coat is pictured. 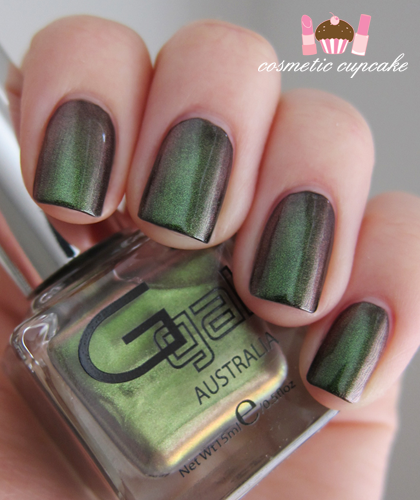 Twisted Jealousy has a pistachio green base with chocolate brown duochrome. I wasn't expecting to like this one as much as I do! It's a an interesting combination on the nail and looks great. I love that the colours really shift. 1 coat is pictured. 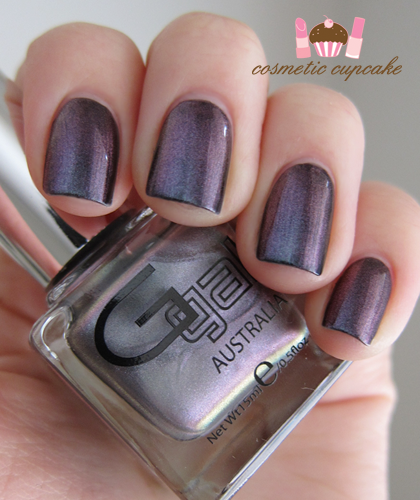 Distorted Platinum has a dark purple base with a plum duochrome. It is one of my favourites! I think it's a great duochrome to start off with if you're new to duochromes as it has a fab effect but the colour is softer as it's purple. 1 coat is pictured. 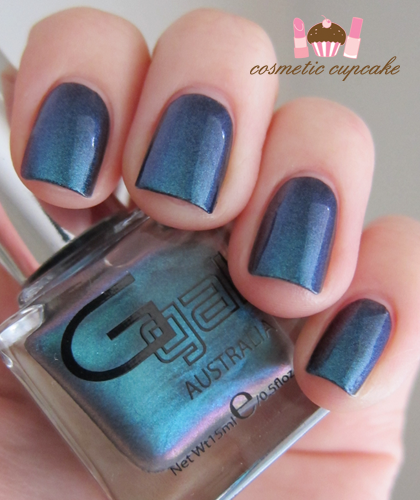 Hell-Bent Blue has a subtle duo chrome effect and has a royal blue base with darker blue/purple duochrome. 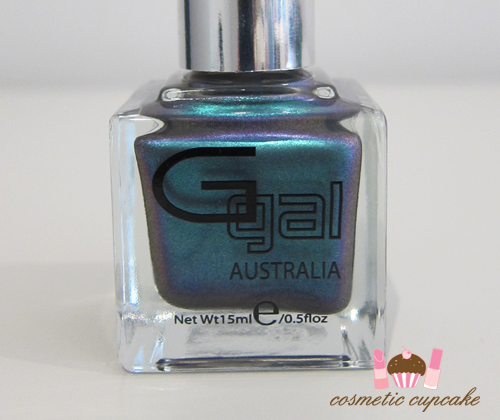 It also has flashes of light purple in the bottle too. 2 coats is pictured. Buckled Bronze also has a more subtle duochrome effect and has a dark bronze base with a subtle darker bronze duochrome with olive flashes. I found it difficult to capture it in my pictures but looks more noticeable in the sun. 2 coats is pictured. 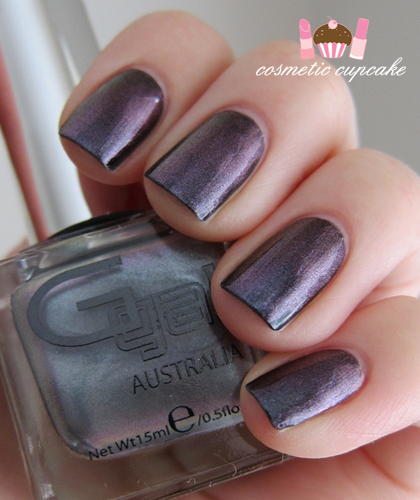 Last but very not least is Contorted Mauve which is my fave from the collection. 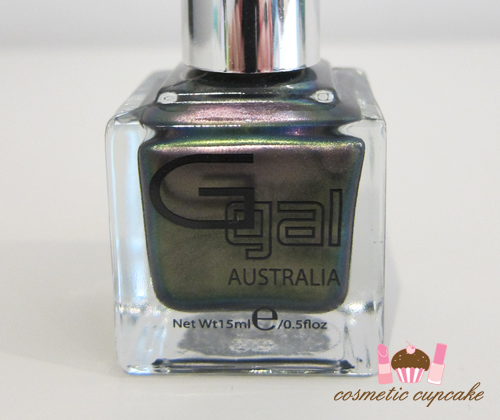 It is one of those duochromes that looks like an oil slick so the colour shift is just fantastic! 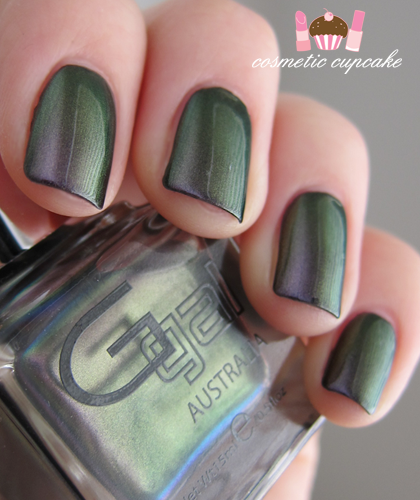 It has a dark purple base that shifts to green and never looks the same on the nail. I could not stop staring at my nails when I wore this! 2 coats is pictured. 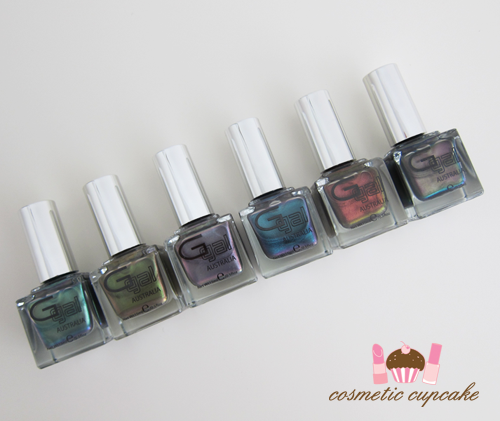 Overall: The Glitter Gal Duo Chromes collection is AMAZING and for all nail obsessed ladies like myself you will love them. The formula is excellent and consistent for all shades - it's thin but not runny like other duochromes and applied super smoothly. The brushes in the new larger bottles are fantastic to use and they contain high quality stem bristles for an even coat and I needed next to no clean up. I found dry time very fast and they all dried to a super high gloss finish. 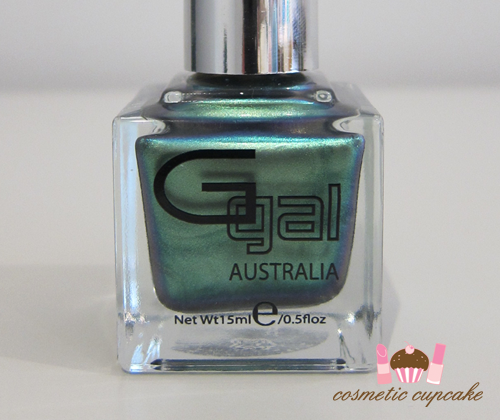 There's no need for top coat either and they wear well without it too. 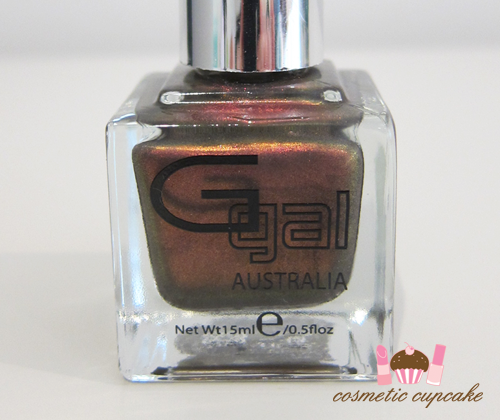 For the best effect layer over a black base such as Glitter Gal Serpent Black which I'll show you swatches of later in the week. 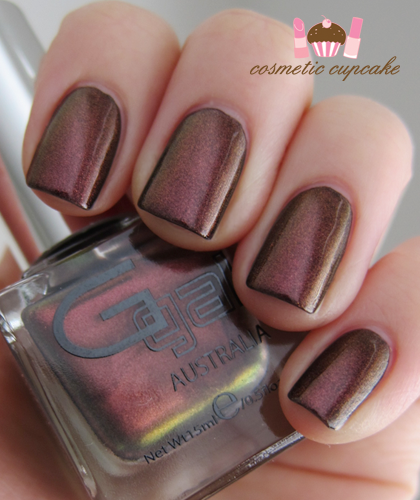 You can wear the duo chromes alone for a really subtle and soft yet sparkly effect. I love the shade range in the collection as they're all different so will suit all tastes! The duochrome effect is fabulous and I received so many compliments when I wore them. It's hard to pick my favourites from the collection but my must haves would have to be Distorted Platinum, Twisted Jealousy and Contorted Mauve. 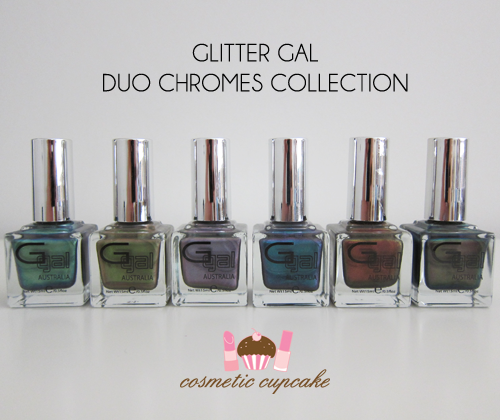 Details: The Glitter Gal Duo Chromes collection is available from today from glittergal.com.au for $17.95. Don't forget to "like" them on Facebook! A HUGE thank you to Kerry and Anna for giving me the opportunity to try these out. Keep up the fabulous work ladies!! Are you excited for these as I am? Which colours do you like? Thanks for looking as always! Ooh, want them all! lovely photos. Thanks! Damn, all of those polishes are BAD! LOL I hope you mean the polishes are bad but in a good way Brianna! Beautiful! Your nails look great, btw. Some of the colors here kind of remind me of the Misa Surreal Escape Winter 2011 collection, but for sure are not dupes by any means. Thank you for your sweet comment Angelica! I had help - amazing lacquers always make ones nails look nice ;) Now that you mention it they do look kind of similar! I LOVE THEM! 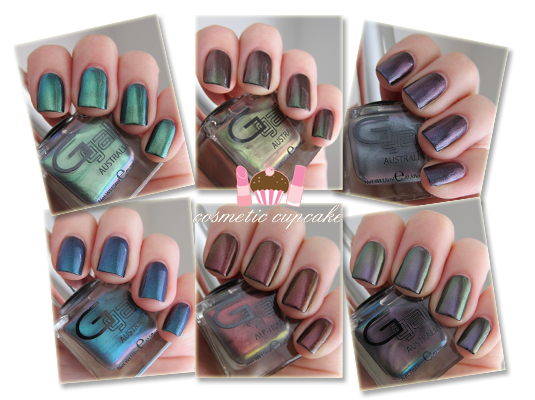 Especially Contorted Mauve, Twisted Jealousy, and Buckled Bronze! Hoping Llarowe will stock them! Woohoo I'm so glad to hear you love them too M! I'm not certain but I'm pretty sure Leah Ann will stock them so you can get your hands on these delightful lacquers =) Let me know how you go with them! That's one of my faves too Steph! 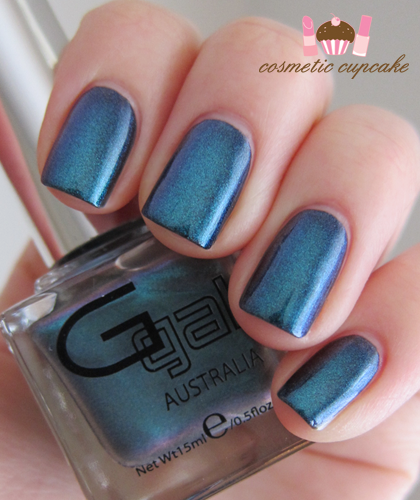 It's a great colour combination and the duochrome effect is excellent. Hope you pick it up! 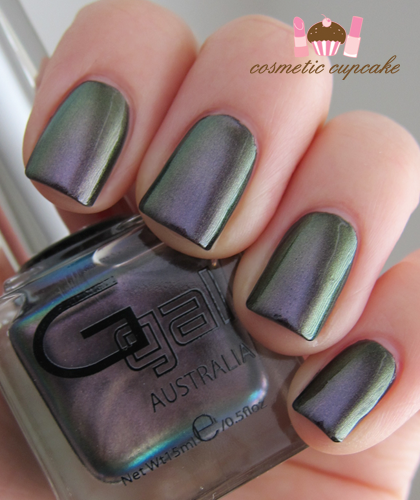 What gorgeous shades! I particularly like the look of the Warped Teal and Twisted Jealously! Your nails are so lovely to look at, it makes me want to take better care of mine. These shades all look so beautiful, I can't wait to try some out! Wow, they are all fabulous! I don't think I could choose one, they are all so pretty!! !